Fr. 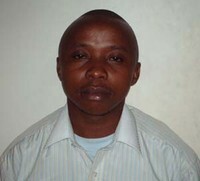 Martin Wanyoike. I'm currently the managing director of radio waumini fm, the executive secretary of communication commission of Kenya Episcopal Conference. I present the program soul food which comes every morning. Daniel Wabwire. I'm the administrator of radio waumini concerned with daily operations of the station. Hector Masera. Hi beloved! 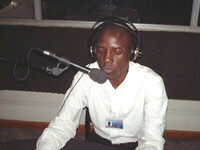 I have been and continue to serve the Almighty through Radio Waumini since it’s inception in the year 2003. I head the technical department. I maintain broadcasting capabilities and provide quick solutions to problems that may arise with the transmitter, satellite receiver, tower and other electronic equipment. I also schedule studios and arrange recording sessions. You can tune in every Saturday at 5.00 p.m. for some conscious and uplifting reggae music on the program Reggae Voyage. Hi good people! my name is Lydia Radoli. I'm currently the assistant News Editor at the radio. I read the English 7.30 AM bulletin. The week in Kenya is a current affairs programme and together with my ardent colleague Eugene we highlight events that made headlines through the week. I also present other programmes. My background is in journalism both print and electronic. 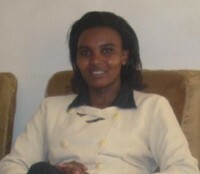 Iam a trainer in media and communication related fields. I coordinate and train at the radio's Training Centre. My areas of interest lie in HIV/AIDS reporting. Investigative and Environmental Journalism.Well Journalism is my second passion But God comes first.I cherish every single letter modeled into a word, a phrase and finally carrying out that sentence to the ear of my audience, its magical. My guiding principle is determination, for that i trust "Its better to die for an idea that will live than to live for an idea that will die"..the words of Steve Biko"
I'm Raymond. I studied Communication and Media in College because I like working in the Media. I like challenges too. Life is about opportunities and challenges and making a decision to take one and not the other is a challenge in itself. 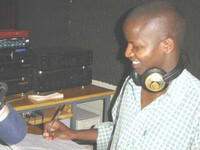 Radio Waumini has a lot of potential and for me every new day is an opportunity to exploit that potential. 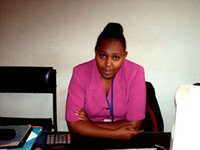 Hey, Jambo I'm a presenter, producer and HIV/AIDS researcher. My background is in Mass Communication. I enjoy my job so much especially the music part of it and the inspirations that we share together and i would say that my job is my hobby. I love what i do and i do what i love. My mission has been, still is , always will be to make someone smile. Laughter is the best medicine for me and i do enjoy a good giggle now and then. Well, that's all from jenny Peace . 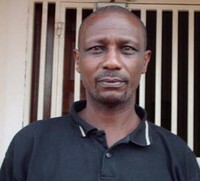 Steve Mrima- trained journalist whose duties entail news reading/presentation, translation, reporting and editing. Loves presentation more, though equally good in production. Wide ranging skills and experience gained over years of doing newsroom work. Simple, outgoing and God Fearing. Out of work--- loves travel, reading variety of literature, and some charity. Message- the greatest is Love. Wakibiru pauline wakibiru is my name. I work at the front office and enjoy each and every moment I interact with our listeners. I like Welcoming visitors. I present the breakfast show, Rise and Shine, every weekday from 7-11A.M and a sports show, Waumini sportsmix, every Saturday from 3-5PM. You know one thing about radio is that one cannot get tired of talking. It is not just empty talk. At Radio Waumini we have perfected a talk that builds you spiritually as well as taking care of your social justice concerns. I call it “a well thought-out and empowering talk”. With a strong background in the fields of Education and Mass Communication it is my sincere hope that with your support we will make radio Waumini the most listened to Radio Station. 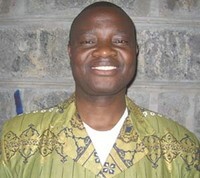 Emmanuel Igunza . 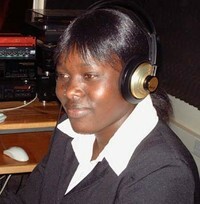 I am a News caster and reporter and presenter of Shouts of Praise and Waumini Gospel Chart. 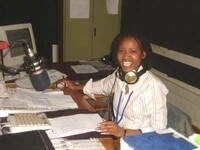 I have been with Radio Waumini since March 2006. My background is in print and broadcast journalism. My driving insipirational in life is Isaiah Chapter 61 because I believe everyone one of us is anointed by God to a specific vocation of serving humanity and God. When not working I enjoy watching Manchester United and Listening to loud music,reading and once in a while playing soccer. 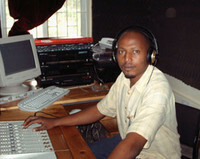 Nicholas Waigwa is my name, and my drive as mass communication professional is very simple: a special trust in God, Nicholas Waigwa, and the strength of my colleagues.I take advantage of the past to face the future with openness and hope bearing in mind that no any challenge is bigger than me. 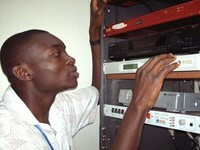 Am a broadcast technician at the catholic radio working under the technical department where I have been assigned the responsibility of controlling the sound quality, as well as choosing the source and the destination of what is produced at the radio station.I produce and host the live civic education forum radio program coming to you every Saturday from 9am, the slums diary featuring news from the informal settlements – the program is aired every Monday from 9:30pm. I also present other programs.As a journalist I have interests in Investigative and analytical journalism as well as reporting on health, church, environmental, business and political stories. I love politics, traveling, dancing, and playing table tennis and volleyball. By the way am a strong Harambee stars and arsenal fan.Just be yourself, for the sake of others. 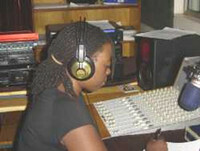 Nandika Amatieku , Hey, I head the creative department as well as produce features programs for Radio Waumini. 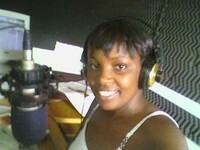 I have worked for 4 years with radio waumini. I like challenges. Mko vipi lakini?. Natumai wazima. 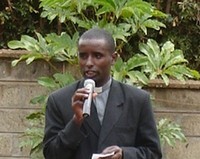 I produce and present a daily program tafrija za kheri njema that runs from 11am to 3 pm. and tumshangilie bwana on Sundays from 3pm to 6pm. I ve got a background in mass communication. Jesus inspires me most because he shared his teachings with us over 2000 years ago and they still remain relevant todate because they give solution to all situations. My listeners also remain very special to me. i DON'T take them for granted they are God given. I love new challenges. < . 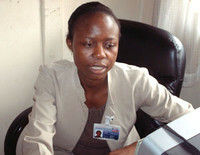 Hi my name is Rose Achiego popularly known as auntie rozzie. 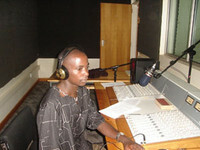 I love the almighty God with all my heart and have a great passion for media and that ex plains my presence at Radio Waumini.I am the producer and presenter of Waumini kids’ hour which comes on air ever Saturday from 10.00 am to 11.00am above that am chief reporter at the station.I dearly love my job, interacting with children whom I always call angles gives me happiness. I also love debates and interaction with religious leaders, politicians, businessmen and all sorts of people make my day a great deal.